What is an improper equipment offense and how can it help me if I get a speeding ticket in North Carolina? 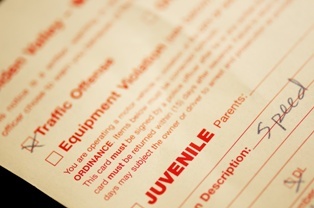 An improper equipment offense is a non-moving violation in North Carolina. You could receive this infraction for faulty equipment, such as a defective speedometer, broken tail light, or improper muffler. If you received a speeding ticket, you may be able to get the charge reduced to an improper equipment offense with the help of an experienced traffic law attorney. How Can Getting a Charlotte Speeding Ticket Reduced to an Improper Equipment Offense Help Me? It is within the prosecutor’s discretion to reduce a speeding ticket to an improper equipment offense, and you do not have to have a faulty speedometer for the prosecutor to agree to this plea. The most important factors in getting this reduction are the speed that you were driving at and your driving history. No points. Unlike a speeding ticket, an improper equipment offense will not result in any points on your driver license. When a sufficient number of points are applied to your driver’s license, your driver’s license could be suspended or revoked. No increased insurance. Because an improper equipment offense is a violation with no points on your driver’s license or insurance, your insurance rates should not increase. You could owe significantly more in insurance premiums for a number of years after receiving and paying off a speeding ticket. Have you received a speeding ticket or other traffic citation in Charlotte? Our experienced traffic ticket lawyers are here to help you reach the best possible outcome in your case so that your ticket is dismissed or you owe fewer fines and have fewer long-term consequences. To discuss your options, schedule a free consultation today.